Looking for the best Blu-ray player software in 2018? The increasing popularity of Blu-ray among movie enthusiasts gradually drives the entire Blu-ray ecosystem into its maturity, and today Playing Blu-ray movies on portable device or on a windows 10 pc doesn’t have to be difficult. But if you want true Blu-Ray movies or 4k uhd/1080 HD video quality on your pc, you’ll need a Blu-ray media player that’s up to the task. Here is the 2018 Superiore 5 Best Blu-Ray Player Software for playing Blu-rays on Windows 10 PC. Finestre 10 is an entirely new version of the veteran Windows operating system by Microsoft. The latest Windows 10 sistema, is no longer just an operating system for 32-bit and 64-bit PCs, but also run on the ARM platform for smaller tablets and smartphones. VLC is a free and open source cross-platform multimedia player and framework that plays most multimedia files as well as DVDs, Audio CDs, VCDs, e vari protocolli di streaming. Gli 2.0 and later version of VLC Media Player support Blu-ray media playback with some extra operations. You can download the latest version from VLC official website. Tuttavia, per motivi legali, AACS e BD librerie DRM e le chiavi ancora non sono spediti. That means only Blu-ray disc with AACS libraries exposed are supported. Below I will introduce the guide referred from VLC’s forum. Passo 1: Vai videolan.org, download, install and run the latest version of VLC for your system. Passo 2: Vai: http://vlc-bluray.whoknowsmy.name/ to download the KEYS DATABASE(KEYDB.cfg) and AACS DYNAMIC LIBRARY(libaacs.dll for Windows or libaacs.dylib for Mac). Ora, you can easily play Blu-Ray disc with VLC on Windows for free. Nota: The latest VLC still doesn’t have menu support yet. Suggerimento: VLC does not yet support Blu-ray menus so you must manually select title to play. Not all Blu-ray movies are supported. VLC can only deal with discs which its library has the corresponding AACS keys. Tuttavia, per motivi legali, AACS e BD librerie DRM e le chiavi ancora non sono spediti. In case there are a lot of unsolved problems that you are experiencing every now and again when it comes to playing Blu-ray with VLC, there are better options that you can adopt so that you can continue to enjoy your Blu-ray videos. One of these alternative methods is that you can get a Blu-ray Player per Windows 10(Solo $45 for Lifetime) to play Blu-ray disc, Cartella Blu-ray, Blu-ray ISO on Windows 10 direttamente con effetto Blu-ray. Oppure si può noleggiare un Blu-ray Ripper for Windows 10(Solo $59 for Lifetime) per rippare e convertire i dischi Blu-ray a WMV/AVI/MPG/MPEG/MOV/MKV/MP4 ecc per giocare su Windows 10 PC o multimediali giocatori. The high definition optical disc format war between Blu-ray Disc and the HD DVD format, Blu-ray got an overwhelming victory. Since then, Blu-ray disc took off and became the most popular. Anche, you can enjoy the Blu-ray ISO files on Windows 10. Tuttavia, no matter Blu-ray Disc or Blu-ray ISO file, it is protected by region codes and digital rights management (DRM), so you need to get a Windows 10 Blu-ray player with Blu-ray license. 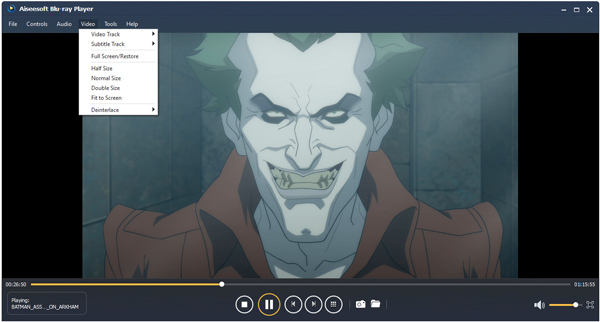 Here we recommend the best Blu-ray Player software for Windows 10 operating systems – Finestre 10 Lettore Blu-ray – released by UFUSoft. UFUSoft Finestra 10 Lettore Blu-ray, just as its name implies, is able to play Blu-ray Disc, Blu-ray ISO file, or BDMV folder on Winodws 10 operating system successfully, no matter with BD+, or AACS. 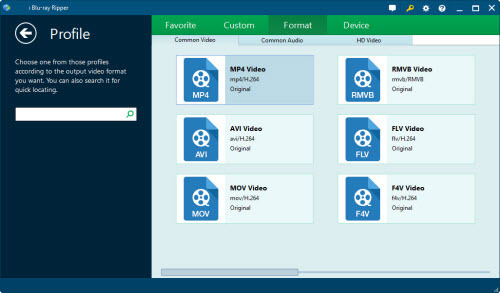 Apart from Blu-ray media format, it can also play MXF, XAVC, MOV, MKV, AVI, FLV, WMV, MP4, MPEG, RMVB, MP3, WMA, AAC, AC3, ecc, su Windows 10 platform. Supporting High resolution up to 1080p and DTS audio system guarantees amazing audiovisual enjoyment with high quality. Suggerimenti: To enjoy the Blu-ray ISO images on Windows 10, you need to install a virtue Blu-ray drive on your Windows 10 computer first. Quindi fare clic sul “Open Disc” pulsante per aprire una finestra di ricerca in cui è necessario trovare l'unità virtù del PC. Besides of enjoying the Blu-ray ISO from the beginning, gli utenti possono anche scegliere di giocare il titolo Blu-ray specifico o capitolo facendo clic destro sulla schermata di riproduzione. Anche questo lettore Blu-ray consente agli utenti di definire la traccia audio / video, canale audio, giocare dimensione dello schermo, e così via. If you’re intend to backing up Blu-ray ISO files to Surface 3 su Windows 10 for playback, the guide below will give you some hints on this process. If you also have collected lots of Blu-ray ISO Image files and want to play them Surface 3 su Windows 10. No worry, the following paragraphs will explain how you can get all Blu-ray ISO media files to play on the Microsoft Surface 3, without having to try different video players or settings. For getting Blu ray ISO movies onto Surface 3 via Windows 10, a Blu-ray encoding software is necessary. I’ve tried at least there applications but the picture quality was not very good at all, it would pixelate in high motion scenes that is just very annoying to me. I tried the built in profile and even built a couple from scratch and they all came out the same. Bene, when I tired UFUSoft Finestre 10 Blu-ray Ripper (Read Review), it works perfectly with the excellent picture/image quality. If you are a Mac user, please get the Blu-ray Ripper per Mac for ripping Blu-ray, Blu-ray ISO, DVDs, DVD ISO to Surface 3 on Mac OS X(Mavericks and Yosemite included). Now download and follow the below step-by-step guide for you. Passo 1. Launch the Finestre 10 Blu-ray ISO to Surface 3 Convertitore, and then load your Blu-ray ISO movies to this program. BD, DVD, DVD ISO/IFO are all fully supported. Passo 2. Now select the output format for playback on Surface 3. You can get optimized videos for Surface tablet under “Video HD > HD H.264 Video (*.mp4)”. The output videos could fit on Surface 3 perfectly. Suggerimento: If you like, è possibile fare clic “Settings” to change the video encoder, risoluzione, frame rate, ecc. as you wish. For watching videos on the Surface 3 tablets, 720p with 1500~2500kbps is just all right. I found the file size and video quality is based more on bitrate than resolution which means bitrate higher results in big file size, and lower visible quality loss, and vice versa. Passo 3. Infine, click “Convert” button to start ripping Blu-ray files to .mp4, the Windows Surface 3 tablet best video format on Windows 10. Once the conversion completes, you can transfer the result videos to your Surface Tablet. Perhaps you are bothered with that there’s no software to play your Blu-ray Disc or Blu-ray ISO files on Windows 10. Tuttavia, you can get rid of this trouble by using UFUSoft Finestre 10 Lettore Blu-ray. Passo 1: Connect your computer with an external Blu-ray drive via USB interface if it doesn’t have one. 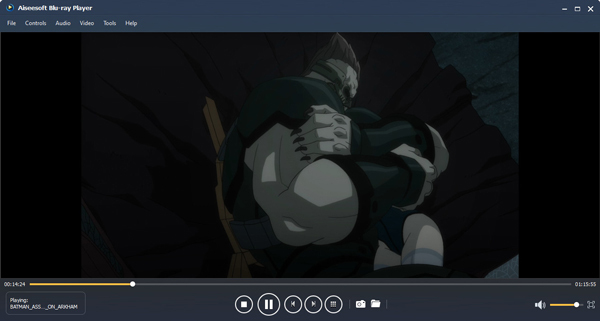 Passo 2: Download UFUSoft Blu-ray Player for Windows 10 and install this Windows 10 Blu-ray player on your computer. Passo 3: Get Windows 10 play Blu-ray. 3) UFUSoft di Windows 10 Blu-ray Player can automatically play the Blu-ray movie on Windows 10 when the disc is inserted. 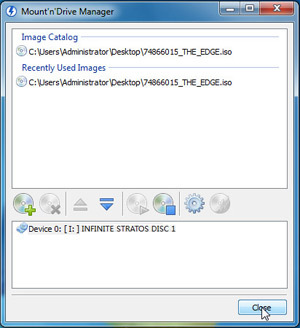 You can also click the right bottom icon and select Open Disc to open the disc manually. 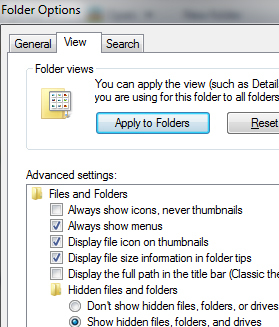 You can also choose Open File to play Blu-ray folders or ISO files. Just in the above steps, è possibile get your Windows 10 play Blu-ray successfully. Free download one and have a try.